Ours is a renowned name in the market that trades and supplies Heavy Duty Texture Gun that comes with heavy-duty spring, huge fluid passages and four-finger trigger. Suitable for high solids, mastics and protective coatings, these guns are widely demanded for airless texture spraying applications. The proffered series is tested for its perfection, before being delivered to the customers. Ours is a trustworthy name in the field that trades and supplies Liugong Wheel Loader that is applauded for its excellent operating weight and rugged construction. 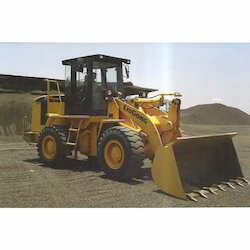 Available in different bucket sizes, these wheel loaders are extremely high in demands. 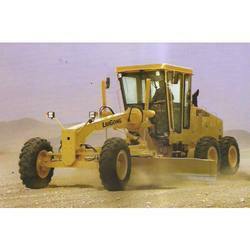 Having air-conditioned cabins, the proffered set of wheel loaders is manufactured using modern & latest technology, in the market. 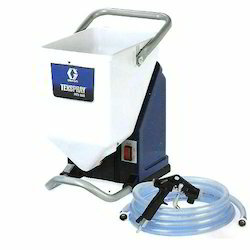 Ours is a renowned company that trades and supplies Ultra Max II 1095 spray gun that is set up with integrated hose wheel, which can be reeled and unreeled, in no time. Owing to the larger diameter and extended lengths of hose, the productivity & performance is increased. Proffered series is provided in multiple models. 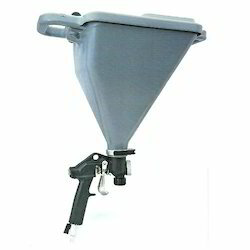 We are among the celebrated names of the business, involved in presenting Tex Spray Trigger Gun. Proffered selection is suitable for applying common interior drywall mud finishes, exterior aggregate acrylic & elastomeric finishes and deck coating. These guns come with large capacity hoppers. Established in the year 2008, we, Sri Sai Infra Equipment Private Limited, are an enviable entity, which is engaged in trading and supplying a commendable Construction and Painting Equipment. 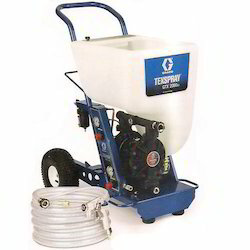 Our products range are Airless Spray Painting Machine, Heavy Duty Texture Machinery and Jaw Crusher. 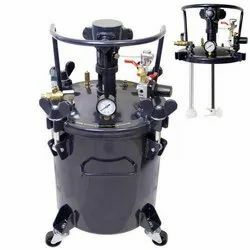 The range of machines offered by us is obtained from credible OEMs like Graco and Liugong, who manufacture the same in accordance with the international quality standards. Further, our authorized vendors never make any sort of compromise with the quality of the products to attain highest benchmarks of quality. We are providing Repairing Services. 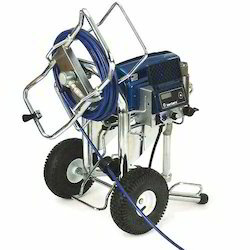 Our OEMs M/s Graco is the world leader in Airless Spray paint technology with a world wide market share of about 71% in its class and LiuGong is the largest producer of Wheel Loaders and other construction related equipment and are known to be 'Overall Best' brand among related products. 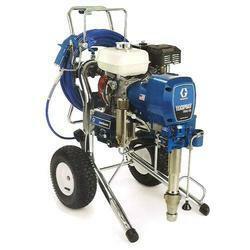 By choosing Graco as our vendors, we ensure that only best-in-class products are offered to our customers. In addition to this, we have a sophisticated warehouse facility, which is segregated properly for hassle-free storage of equipment. Our warehouse is connected with different transportation modes, owing to which, we are able to dispatch our range on-time to the clients' end.